Zyppah Snore Eliminator Review – Should I Buy It? This in-depth review contains two sections. The first section covers product information on the Zyppah as well as information on the company who sells it. In the second section, you will learn about my personal experience using the Zyppah for 15 nights. If you would like, feel free to jump down the page and go straight to the second section. You will, however, miss out on a lot of great information that you may find useful while making a purchasing decision. Zpa, Zpaw, Zeppe, or Zeepa, however, you want to spell it, we are talking about the same product which is the Zyppah. Zyppah is a stop snoring product that is often associated with the somewhat irritating voice of “Jimmy”, who is sure to capture your attention if you happen to listen to Sirus XM radio. When I was initially introduced to the Zyppah, pronounced “Zee Pah”, the first thing that stood out was its appearance. 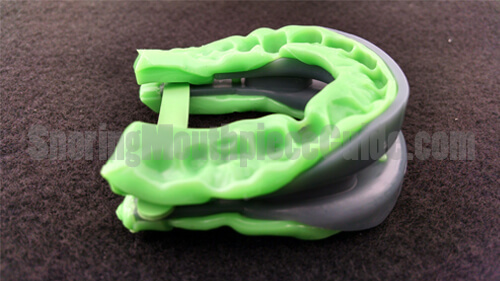 Unlike the vast majority of snoring mouthpieces on the market, this one was sleek and stylish, sporting eye-catching colors of bright neon green and black. Another unique feature was the tongue stabilizing strap, referred to by the manufacturer as the “Snore Eliminator”. It is located at the back of the device and stretches horizontally, from one side to the other. The combination of both jaw adjustment and tongue stabilization places this snoring treatment device in a class of its own. The Zyppah was developed by industry professional Dr. Johnathan Greenburg who spend over three decades in the field of dentistry and also studied bioengineering as an undergraduate student. 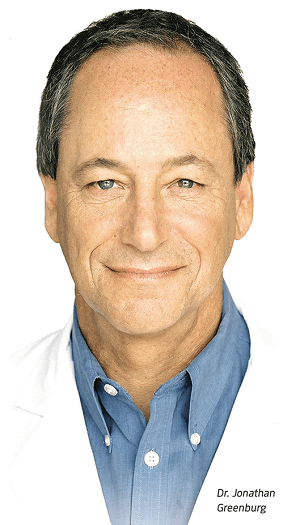 Dr. Greenburg has spent the past 15 years studying sleep apnea and snoring. He currently operates five “Snore Experts” centers in southern California located in the cities of Encino, Beverly Hills, Newport Beach, Pasadena, and Valencia. These centers focus on snoring, sleep apnea, and CPAP intolerance. Dr. Greenburg operates these clinics with the help of his partners, Dr. Jay Khorsandi, DDS and Dr. Stephanie Colletta, DDS. Together, they treat patients using a variety of different options such as oral appliances, CPAP, APAP, & NightLase. Zyppah is headed by Dr. Greenburg with Owen Gonzales listed as the Chief Operating Officer and Jerry Washburn as the Cheif Financial Officer. The company has a license agreement with Nevada corporation Always More Marketing, Inc. (headed by Dr. Greenburg). Always More Marketing holds the intellectual rights to this product while Zyppah manufactures, markets, and sells the mouthpiece. There are currently 2 types of Zyppah devices that are available – the over-the-counter version which can be purchased on the internet. This is used to treat snoring only. Then there are the prescribed versions which are custom fitted by a doctor at one of the 5 Snore Expert centers in CA or by a participating certified practitioner. 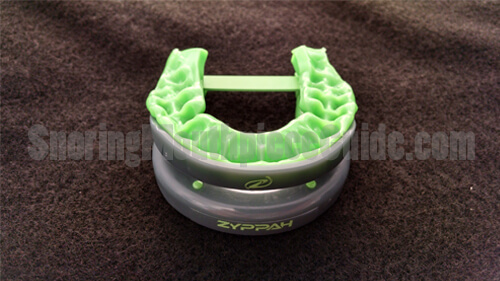 Unlike any other oral appliance, Zyppah uses an elastic band in conjunction with a mandibular advancement feature. The jaw advancement helps to tighten tissue and muscles at the rear of the throat while the elastic band works to help prevent the tongue from blocking the air passage while you sleep. The first thought the likely comes to mind when you see the Zyppah is “this can’t possibly be comfortable to wear”. As with all anti-snoring device, it will take a few days to get used to. This product has been on market since June 2012 and those who have tried it say that it takes about a week to get used to wearing. Some have reported jaw tenderness during the initial week, which soon diminishes. Once accustom to, most users claim that it has helped their snoring significantly. One concern for many is the tongue stabilizing strap which could potentially trigger the gag reflex. The manufacturer suggests that there is no need to worry about triggering your gag reflex as the elastic band is positioned in such a way that will not affect most people. In fact, very few complaints of this nature have surfaced since this product was released. Limited edition pink & white Susan G. Komen was released in 2014 with $5 dollars from every sale going to her organization to help fight breast cancer. Zyppah Red, White, & Blue was another special edition that was also released in 2016 and is not currently available. A glow-in-the-dark Zyppah was said to have been released in 2017. 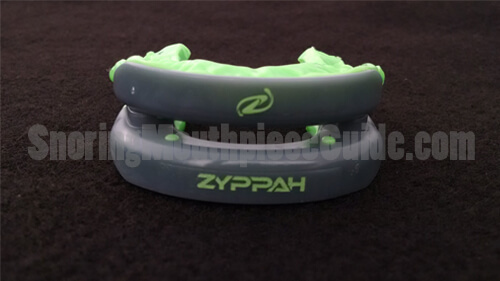 Zyppah is made from a commonly found thermoplastic boil-and-bite material which allows you to create a comfortably fitting mouthpiece that contours to the surface of your teeth. Custom fitting is rather simple and requires that you drop the device into hot water, remove and allow to cool briefly prior to inserting it into your mouth. Once inserted, bite down and hold to form an impression. As the material cools, it will retain its shape. As for the ability to micro-adjust the lower tray, this particular mouthpiece does not offer this feature. This can, however, be found in a few other OTC mouthpieces and at your dentist’s office. Zyppah has seen an impressive growth since its launch in 2012. According to a 2018 campaign created on Wefunder, a crowdfunding site, over the years they have sold over 200,000 units which is equivalent to approximately $24 million in sales. Nearly all of these sales occurred between 2015 – 2017. What’s the reason behind the rapid growth? Much of sales can be attributed to an impressive advertising campaign. In 2012, Zyppah signed a multi-million dollar endorsement deal with Bob Eubanks. In recent years, they partnered with radio host Dr. Laura & also Jenny McCarthy. They purchased a billboard ad in time square, sponsored the #7 Indy car at the Indianapolis 500, launched an ad campaign with Jim Rome, Mike & Mike as well as ESPN. In 2017 & 2018 Zyppah ran radio superbowl ads. In addition, they hired “Jimmy”, to create XM radio commercials which air on Sirus Satellite Radio. Needless to say, Zyppah has been dropping a lot of money on advertising in order to get their product in front of their audience and it has been effective. First, it’s important to note that the version available online is not for the treatment of the medical condition known as sleep apnea. Sleep apnea is a condition where you may experience pauses in breathing while asleep. Other symptoms include morning headaches, daytime tiredness, and inability to concentrate. The Zyppah is used to reduce or even eliminate the sound of snoring but does not necessarily treat any underlying issues such as OSA. As with all OTC oral appliances, it is advisable that you consult with a doctor in order to determine whether you are simply a snorer or actually have a sleep disorder such as obstructive sleep apnea, central sleep apnea, or a combination of both. According to this 2015 study, it’s estimated that up to 50% of men and 23% of women have sleep-disordered breathing. Treating a sleep disorder with an OTC device prior to consulting with a doctor can be extremely dangerous. A close examination of the Zyppah website reveals that the term “sleep apnea” is nowhere to be found and there is a good reason for this. 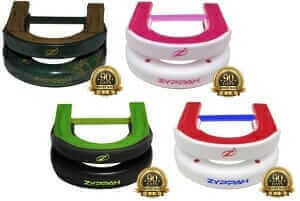 The Zyppah should only be used for its intended purpose which is to treat snoring. Zyppah does, however, offer several professional devices including the Zyaaph-T, Zyppah-K, Dorsal Zyppah Hybrid, and the Herbst Zyppah Hybrid. 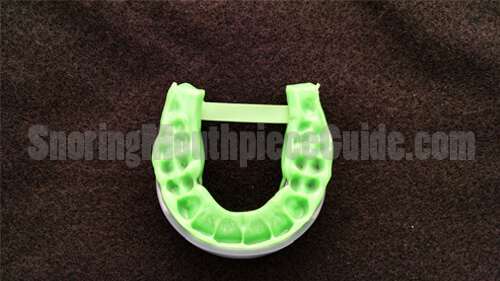 These are used for the treatment of snoring as well as mild to moderate sleep apnea. In order to receive a professional series device, you must either visit one of Dr. Greenburg’s Snore Expert centers in California or find a local dentist who is a Zyppah Sleep Certified Dental Practitioner. Sleep Certified Dentist receive online webinars and course training from Zyppah. In order to legally sell a snoring mouth guard in the United States, one must first obtain FDA clearance, which typically involves proving that a product is substantially equivalent (SESE) to another device that was previously cleared by the FDA. Obtaining approval usually involves hiring a consultant who can navigate through the process which usually can take a bit of time and is often costly. For this reason, there are several manufacturers who sell their product without FDA clearance. Zyppah submitted a section 510k premarket notification to the FDA in February 2012 and in June 2012 it was decided that their device was substantially equivalent which gave the company the green light to sell their product to the public. The summary and determination letter can be found here. 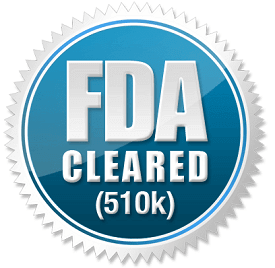 While the FDA does not necessarily approve such medical devices, they do clear them. Going through the effort to have their product cleared by the FDA is an indicator of the companies commitment to ensure consumer safety. According to the BBB website, Zyppah is an accredited business, meaning that they are committed to making a good faith effort to resolve complaints that may arise from customers. 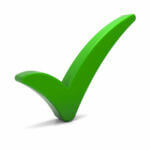 Accredited businesses must also pay an annual fee to maintain this badge of trust. For a business the size of Zyppah, this would cost around $490 per year. BBB shows that their file was opened in 2013 and they currently have an A+ rating. This rating is based on a number of factors such as complaint volume, unanswered complaints, unresolved complaints, and time in business. Currently, they have experienced a total of thirty-five complaints in the last three years. Out to the 35 complaints, 18 were resolved to the customer’s satisfaction while the remaining 17 were either not satisfied with the response or did not relay to the BBB whether or not they were satisfied with the response that they received. The majority of these issues appear to be related to returning the Zyppah and receiving a refund. Considering that the company has sold over 200k with only 17 total complaints that may not have been resolved, this is a very good indication that they are committed providing good customer service. While it’s nearly impossible to make everyone happy, 199,965 out of 200,000 customers who have not complained is fairly impressive. When originally introduced, this device was selling for $123.00. Today, you can expect to pay $99.95 plus shipping. For US residents, standard shipping (7-9 day) costs $9.95 while priority shipping (3-day) will set you back $21.95. Since Zyppah is a California based business, the company is required to pay sales tax on orders that are delivered within the state. If you are a California resident, expect to pay an additional $9.00 – $10.00 in sales tax. International buyers are charged $23.95 for standard shipping. 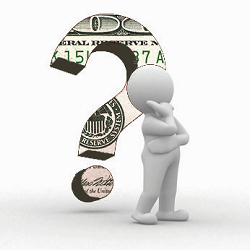 Keep in mind that any duties, taxes, or port handling fees are typically paid for by the buyer. Zyppah does not specify how long international shipping takes, although, the transit time for most international USPS packages is typically between 2-3 weeks. Their terms and conditions page states that all orders are shipped within 3-5 days from the completion of an order. Zyppah does occasionally offer promotional discounts to their customers, however, an online search did not reveal any coupon codes that are currently active. I’ll make an effort to keep this review updated with any promotional codes, should they become available. One question that’s often asked is where a product is made. There is a growing concern over toxic goods being imported from countries such as China. Such countries are known to have very little quality control within manufacturing facilities. Products that are made in the US are often more accepted by consumers who may be concerned that a product such as a mouthpiece may contain toxic chemicals. The good news is, Zyppah is made in the USA. To be more specific, it’s manufactured in Houston Texas. 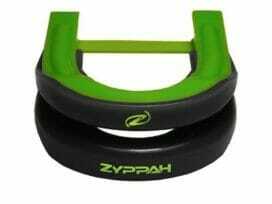 Which Retail Stores Sell the Zyppah? If you were to visit your local drugstore or superstore in search of the Zyppah, will find yourself coming home empty-handed. You will not find the Zyppah, or any other snoring mouthpiece for that matter, at any store in the US. Why, you ask? Simply because such products are currently considered a class II medical device by the FDA and are to be sold by prescription only. By prescription, we mean that they can only be sold online after answering a few questions or agreeing to their terms and conditions. In some cases, the customer fills out a questionnaire which asks questions about their medical history such as the presence of sleep apnea, TMJ, TMD, missing teeth, respiratory issues, etc. With most brands, if you answer the questions on their website correctly, a “script” will be written which allows you complete your order. Answer the questions incorrectly and you will not be able to move forward with the checkout process. Zyppah doesn’t actually ask any questions. They do however ask you to agree to their terms and conditions which includes several statements about your health. The agree to terms box must be checked prior to completing your purchase. For years, this is how snoring mouthpieces such as the Zyppah were sold. Zyppah is, however, looking to change that. 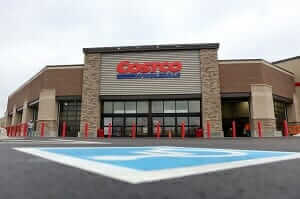 Is Zyppah Coming to Costco, Walmart, Target, Save-On, Amazon, CVS & Walgreens? In January 2018, Zyppah announced that they had plans to eventually sell their product in retail stores such as Costco, Walmart, Target, etc. While the FDA classification for the Zyppah has not changed, according to a statement by Dr. Greenburg, the company is anticipating that the FDA will allow them to sell their product over-the-counter in the near future. Here’s some evidence showing that they have completed an interventional study which will likely be used to help persuade the FDA that the Zyppah should be reclassified to perhaps a class one device and will allow it to be sold at retail stores. For the time being, you will not find the Zyppah at retail stores. I will update this review if and when this happens to change. Most snoring mouthpieces come with a money back guarantee, while others offer a “trial” period in which you can pay for shipping and try a mouthpiece for a period of time (usually 30 days) before being charged for the product. While Zyppah does not offer a trial period, it does however come with a 90-day money back guarantee. If the Zyppah does not work or you are not satisfied for any reason, they will refund you within 90 days of purchase. Thier return policy states that they will provide a refund with no questions asked. In order to receive this refund, you simply call their customer service phone number and ask for a Return Merchandise Authorization number. It’s also worth noting that they will provide a free replacement (within the guarantee period) if you did not mold your mouthpiece correctly. In fact, they will replace your mouthpiece, free of charge, for any reason within the 90-day period. Overall, their return policy seems to be one of the better that I have seen. I must admit, when first introduced to the Zyppah I was somewhat skeptical. A tongue stabilizing strap that resembled a florescent green rubber band that was supposed to hold my tongue in place and prevents snoring seemed like a bit of a stretch. I’ve tried quite a few tongue stabilizing anti-snoring products that all worked by holding the tongue forward such as the Good Morning Snore Solution. However, they were all similar in nature and worked by placing the tip of your tongue into a pacifier-like device with a suction bulb at the tip. When squeezed, the bulb would draw the tongue forward and hold it there. The Zyppah takes a different approach by holding the tongue down and in place using a soft rubber-like strap. Before drawing any conclusions, I ordered a Zyppah and put it to the test. My Zyppah was shipped via USPS and arrived within 3 days. The box that it arrived in was rather fancy, decorated with colorful shades of green, yellow and white while boasting the phrase “8 Hours Of Sleep & 0 Snoring”. The contents of the package contained some paperwork which included the instructions, the device, and a storage case. Overall, I was rather impressed with the effort put into packaging this product. The instruction manual was well written and visually appealing. It took about 5 minutes to read over the literature and to get an understanding of exactly how this device worked. Armed with my newfound knowledge, I was ready to begin the initial fitting process. In comparison to other devices, the fitting process was quite similar with the exception of the tray design. Most of the “boil and bite” MAD’s that I have tried were made with some sort of tray walls which helps to guide the teeth into the correct position while fitting. The Zyppah mouthpiece does not offer this. For this reason, it is critical that you read the instructions carefully to ensure that the initial fitting is completed correctly. Without the recessed trays, you must use a mirror to ensure that your upper and lower teeth are placed in the correct position prior to biting down and taking an impression. The following is a brief rundown of the fitting process. More precise instructions can be found in the instruction manual. Remove the device from its packaging and give it a good rinse under warm water. In order to get a feel for the product, place it into your mouth while emulating the following fitting instructions. Heat a medium-sized pot of water on the range. Once the water reaches boiling temperatures, remove and allow to cool for a minute or so before continuing. Using a pair of tongs or a slotted spoon, submerge the device under the hot water for 45 seconds to 60 seconds. I left mine in for the full 60 seconds. Use the tongs or spoon to hold the device under water as it tends to naturally float. Carefully remove it from the hot water and allow to cool for 20 seconds. Be very careful while handling the device as the thermoplastic material will be very soft and quite sticky. It’s best to handle it with the rubber strap or the hard plastic portion of the unit. Before moving forward, understand which side is up. While looking at the front, the lower portion which reads “Zyppah” is the lower tray. You can also tell by looking at the lower tray as it rests slightly in front of the upper tray. While looking into a mirror, place the device into your mouth, starting with the lower teeth. 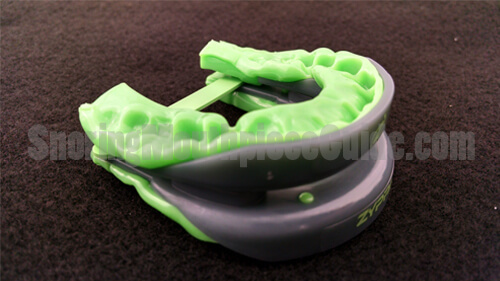 Ensure that the lower teeth line buts right up against where the harder black plastic meets the softer green thermoplastic. Once aligned, stretch your jaw forward until the outer edge of the upper teeth are resting against where the hard plastic meets the soft plastic in the upper tray. Once aligned, firmly bite down and hold for 1 minute. 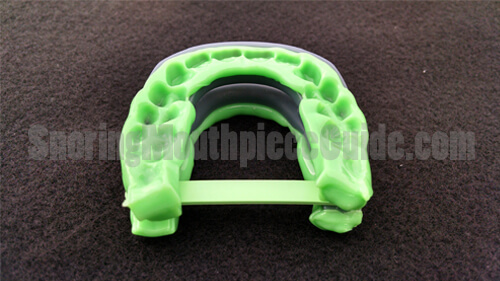 You should feel your teeth sink into the soft green thermoplastic. Carefully remove after one minute and run under cold water or drop into a cup of cold water for a minute or so. Once cooled check for fit. If it does not fit properly you can try again by reheating the device and repeating the above steps. Over the next two weeks, I used the Zyppah to control my snoring. One of the first things that I noticed was the ability to breathe freely with the open air hole locate at the front of the device. The overall profile was rather slim. Some of the less expensive models leave you with the feeling of a mouth full of plastic but I didn’t get that sensation with this device. As for triggering my gag reflex, this was not an issue. During the initial adjustment period of 4 days, I noticed a bit of soreness in my jaw upon rising in the morning. The soreness diminished within the first hour of each day. After a few days, the sore feeling completely went away. I also experienced some drooling for a couple nights which also eventually subsided. These two side effects are typical and usually disappear after a few days of use. Each morning I cleaned the device using a denture cleaning tablet. After a short soak, I allowed it to air dry and it was ready to go once again. So does it work? While testing out the Zyppah I had experienced absolutely no snoring so it is in fact effective! I verified this by using sound recording app while asleep. I suspect that my relief from snoring was due mostly to the jaw advancement feature while the tongue stabilizing strap may have helped to some degree. Depending on the reason for snoring, others who experience snoring due to a relaxed tongue may benefit more from the tongue stabilizing strap. There is a bit of evidence showing that stabilizing the tongue can reduce snoring and in some cases help with mild to moderate sleep apnea. 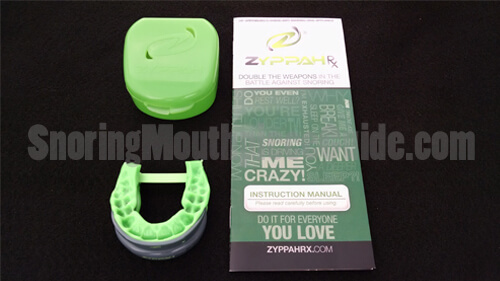 The Zyppah was introduced in June of 2012 and has quickly established itself as a leader in the stop snoring device industry. It was developed by a seasoned dentist who also holds a degree in biomedical engineering. The appliance has been proven to help eliminate snoring by using both mandibular repositioning and tongue stabilization. Its low profile makes it less obtrusive and more comfortable than some of the other devices available on the market. Also, it is constructed of a soft silicone-like material which increases comfort. Compared to similar devices, it is a bit on the pricey side, although it is a one-of-a-kind product. 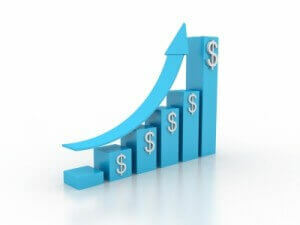 The higher price is most likely driven by advertising expenses as well as research and development cost. 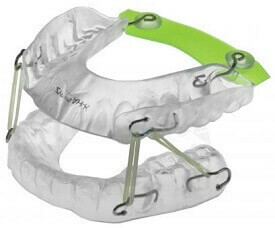 The combination of a tongue strap plus mandible advancement makes this product a unique Hybrid and one worthy of trying. Taking all factors into consideration, I give this product the “okay”. Should I Buy The Zyppah? Anti-snoring mouthpieces are one of the most effective stop snoring solutions available. With over 100 different products to choose from including the Zyppah, deciding which one to buy can be challenging. As a snorer and product reviewer, I have tried many of these devices and created a snoring mouthpiece comparison table that will help to make this decision much easier.